Brands Hatch and Silverstone are famous venues in which of these sports? Enter the Dickinson’s Real Deal competition 3 times per phone number. 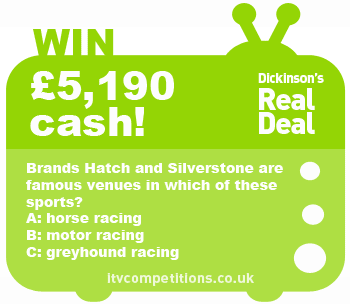 Win a great free cash prize by entering online using the itv.com competitions form (it’s free – unlike sms/phone! ).